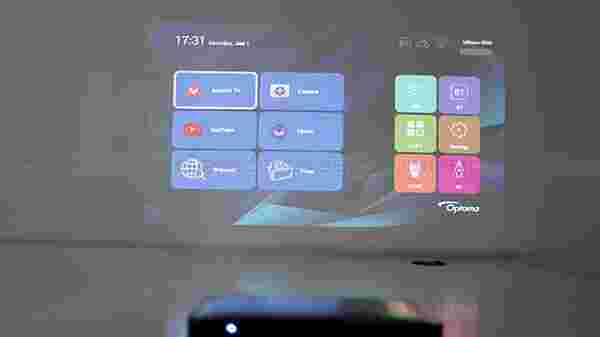 The Optoma ML330 Ultra-compact Android LED projector is one of the most compact projectors that I have used in recent time, which is capable of projecting WXGA (1280×800) resolution image at 60Hz. The projector comes with a high-quality carry case, which can be used to carry the projector in a handbag. The actual projector is pretty compact and light in weight. In my test usage, I did not face any issues what so ever. 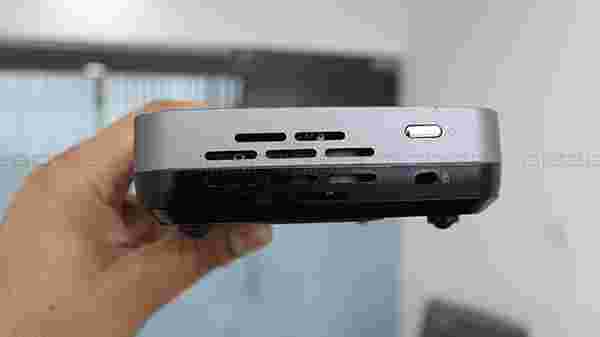 he Optoma ML330 Ultra-compact Android LED projector in itself is a smart-projector, based on Android OS. I was able to connect the projector to a wireless Wi-Fi network to stream videos on various streaming platforms like YouTube, Hotstar, and Voot. However, the projector runs on an older version of Android OS, which is a bit of a let-down. I was able to use the Optoma ML330 as a standalone device to stream videos and music from YouTube. I was able to connect the projector to my MacBook using AirPlay, and the projector also comes with an Android app, which can be used to connect (project) Android smartphones. As expected, I was impressed with wireless projection from my phone and laptop with a minimal time lag. However, I don’t recommend users to play games by the projector to a device via a wireless network. 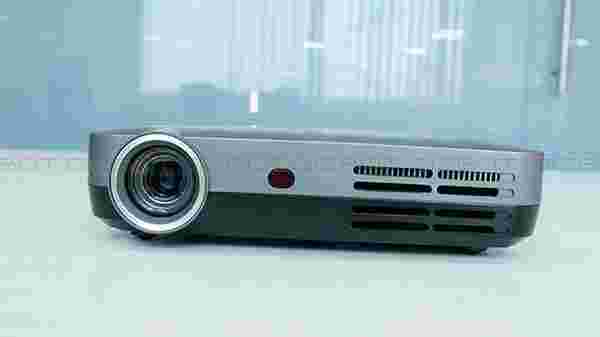 The Optoma ML330 can project a 10-inch image to a 120-inch image, and the projector is capable of projecting 500 lumens of light. I tested the Optoma ML330 by projecting an image between 50-inch to 70-inch (which seems like a sweet spot), where the details of the pictures were preserved. To use the projector with a 120-inch projection, the room should be in complete dark condition. The built-in 5watt speaker does sound al-right with around 60 to 70% of volume, and the sound does crack a bit at the peak volume level (90% to 100%). In my entire testing period, I did not face any issue with respect to heating. Yes, the projector does get warm with the continues usage, but the temperatures were in the permeable range, and the projector did not overheat even with four to five hours of continues usage. There is a small fan inside the projector, which does get louder sometimes (under the maximum load). However, the fan makes sure that the projector runs at an optimal temperature at all the time. I was able to game on the Optoma ML330 by connecting it to a CPU using the HDMI port. There is even option to connect hard disks and pen drives to watch movies directly from the USB storage device. The Optoma ML330 Ultra-compact Android LED projector is one of the best most compact projector available in India. In fact, it is more than a projector. It is a tablet with a big screen, an Android device, a monitor with HDMI port and a lot more. The Optoma ML330 Ultra-compact Android LED projector is for those, who are looking for a small, compact projector to use in the indoor conditions. If you have a budget of around Rs 35,000, and looking for a compact projector, the Optoma ML330 might be the right projector for you.